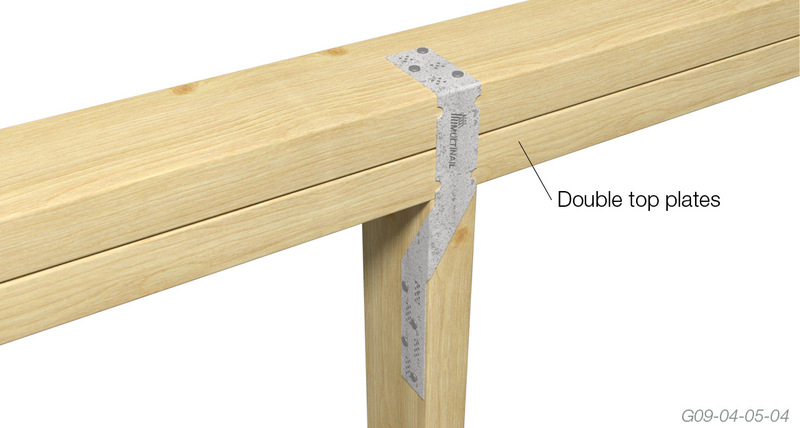 Incorporate nail holes for hand nailing and location dimples for quick and easy gun nailing. 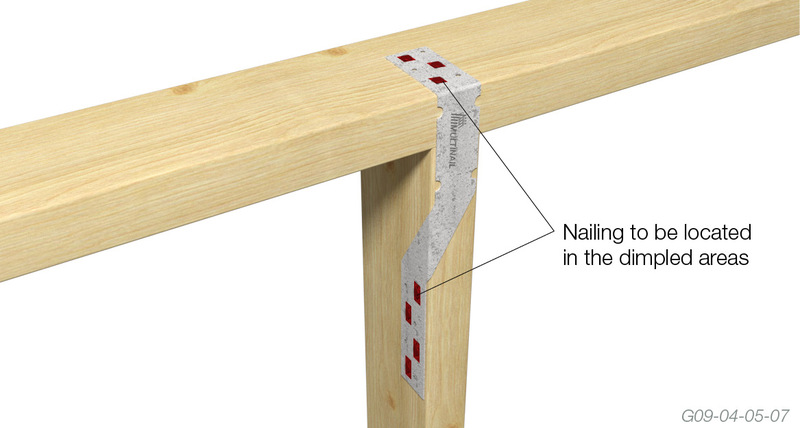 Eliminates timber splitting with the nail locations positioned away from the timber edges and ends. 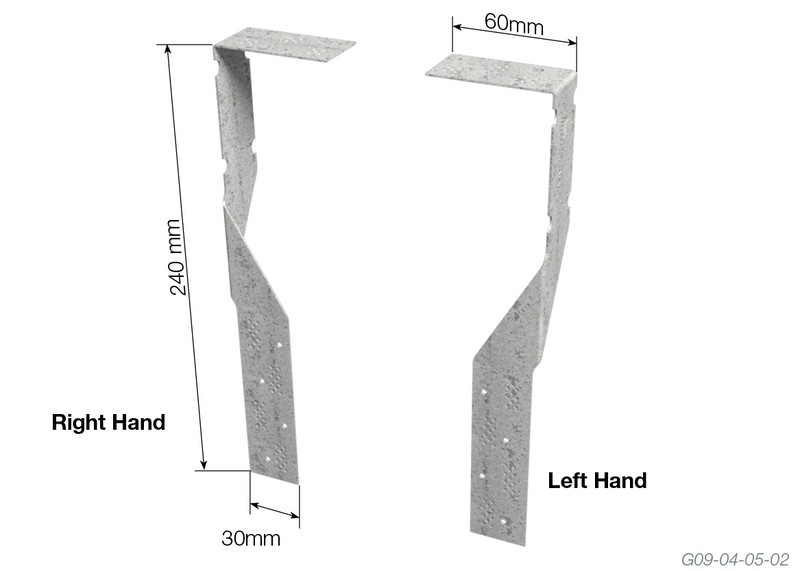 Provides greater tie-down strength as nails are driven into the side grain of timber to resist wind uplift in shear. 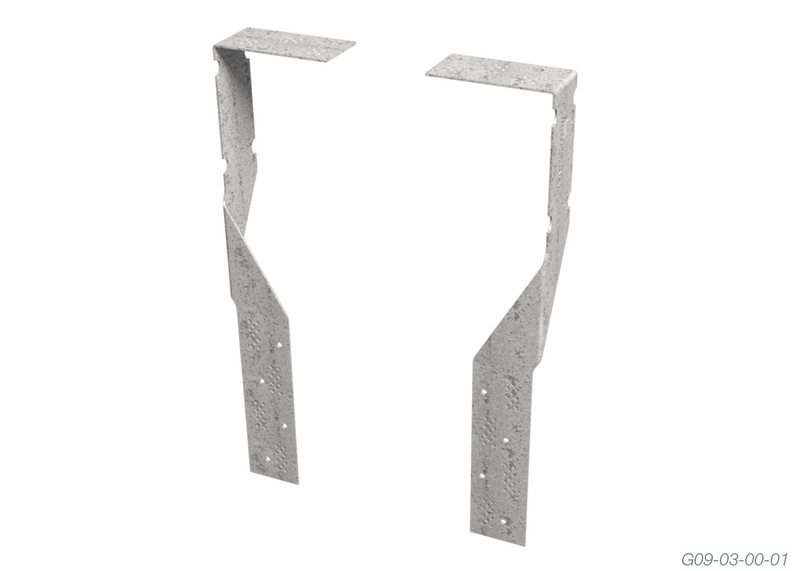 The Stud Strap must be fixed on the same side as the truss fixing (for uplift) or the same side as the bracing. 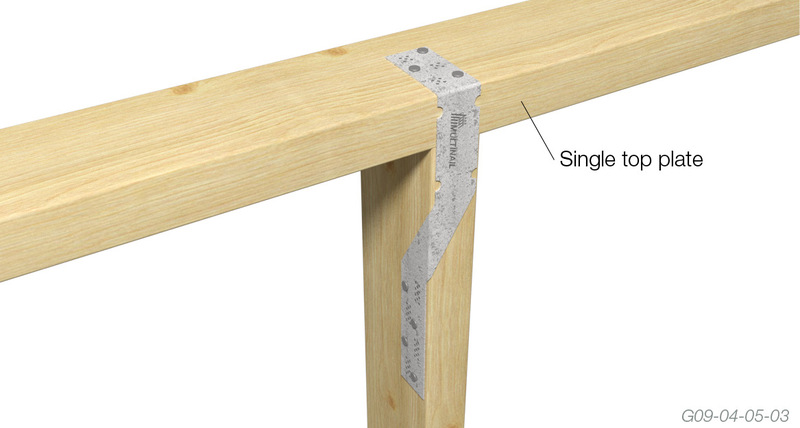 The vertical bend of the Stud Strap should be placed over the stud to top plate joint. Secure using Multinail 30mm x 2.8Ø hand nails through the nail holes provided or 32mm x 2.5dia hardened screwshank nails located in the dimpled areas. All nails need to be 32mm long x 2.5Ø hardened screw shank nails and comply to AS2334-1980 or ASTM F1667-15. The following table gives the recommended Wind Uplift Limit State Design capacities for the Multinail Stud Strap. 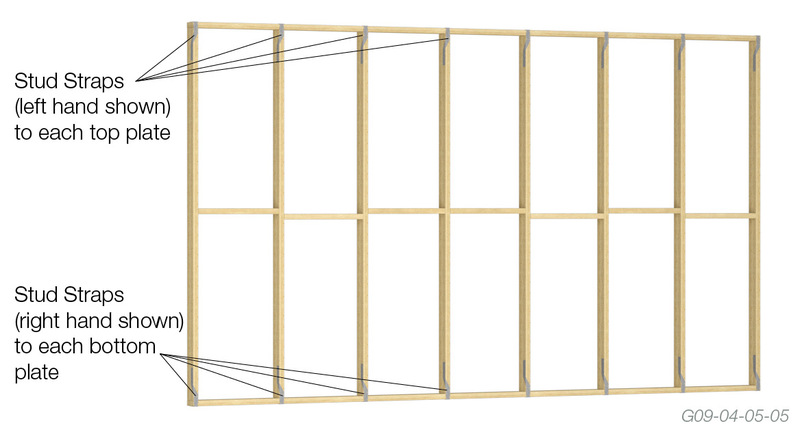 These capacities depend on the joint group of the timber to which the Stud Strap is nailed. 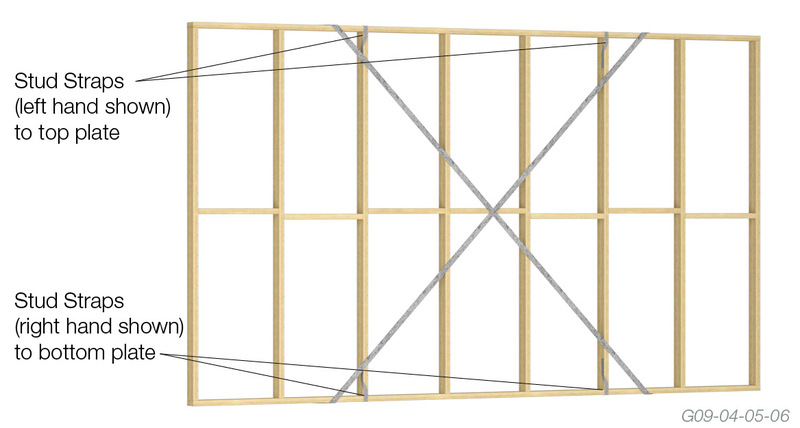 NOTE: Stud Strap to be used in conjunction with standard framing practices; e.g. 2/3.05mm diameter nails in end grain of studs.